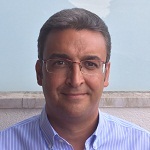 Daniel Sanjosé is a Chemical Engineer with a Diploma in Business Studies. He has been working in the Chemical Industry during more than 20 years and currently he works for a well-known Dutch Chemical Multinational as Regional Sales Manager EMEA. He shares this role with the responsibility of Managing Director of local Spanish legal entity. His career focus has allowed him to specialize in Sales & Marketing Management activities not only within EMEA but, more recently, in South American countries as Market Development Manager. He also works as a teacher and pays specific seminars with special focus in Commercial & Sales fields. At this moment, he is teacher in two Marketing Business Programs of IL3 that belongs to Universitat de Barcelona (UB).